I don’t celebrate Halloween, but I do enjoy all the things that are associated with the day: horror movies, ghoulish decorations, dressing up in costumes, theme parties and of course, the candy. Since making candy proved to be too troublesome for me – and the fact that I love cake more than candy – I decided to turn a red velvet cake black. In theory, it should be easy, right? All you need to do is to substitute the red colouring with black. Well, after going through several recipes, I realised there was a little bit more to it than that. Still, I loved the idea of a black cake filled and covered in white frosting for Halloween (or in this case, All Souls’ Day tomorrow) and went ahead with it. 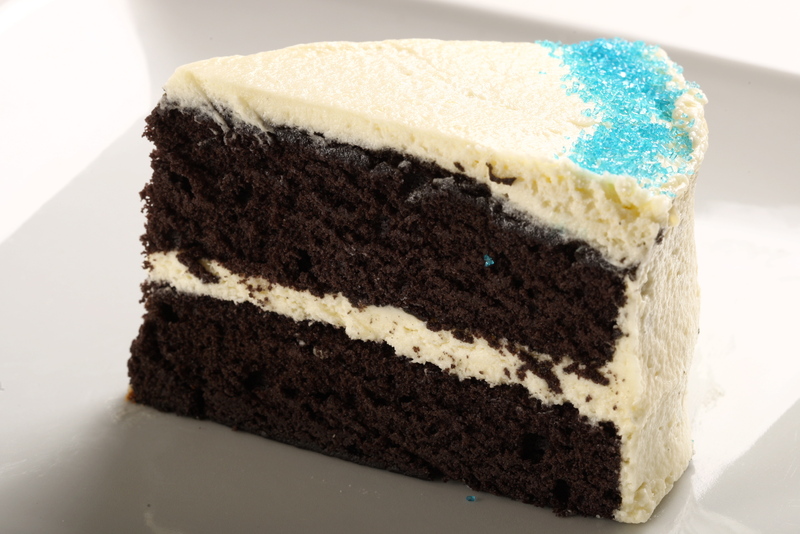 This Black Velvet Cake recipe is part of the Don’t Call Me Chef column in Star2. Sift the dry ingredients (except the baking soda) into a bowl and set it aside. Cream the butter and sugar until pale and fluffy. While beating the mixture, add the eggs one at a time. Then, add the vanilla and coffee. Slowly beat the dry ingredients in, alternating with the buttermilk. Make sure to start and end with the dry ingredients. Once everything is combined, add the black food colouring until you get the desired shade. Six drops should be good enough, although you can always add a few more. In a bowl, combine baking soda with the vinegar. It will fizz up instantly so add this mixture to the batter immediately, beat for about half a minute. Pour the batter into two 20cm prepared baking pans and place them in the heated oven. If your oven is too small for two cake pans, you can always do them separately. Each pan should take about 20-30 minutes to bake at 180°C (do the toothpick test after 20 minutes to check). While the cake is baking, prepare your frosting. Place the marshmallows with a bit of sugar syrup into a bowl and microwave it for a minute on high or until it melts. Otherwise, stand an over-proof bowl in a pot of boiling water and let the marshmallow melt down into a creamy, fluffy texture. You may need to add a bit of milk or heavy cream to speed up the process. Once done, mix the marshmallow fluff with the buttercream, and then beat the cream cheese in. When your cakes have cooled down, place a generous amount of frosting on top of one cake and smooth it out; place the second cake on top once that’s done. Slather the whole cake with the remainder of the frosting, beginning from the top and then the sides. Finish it off with some coloured sugar crystals or sprinkles.